I've been on the hunt lately for something to store my own personal makeup in and spotted this little beaut In Dunnes home when I was working away from home in a different store. 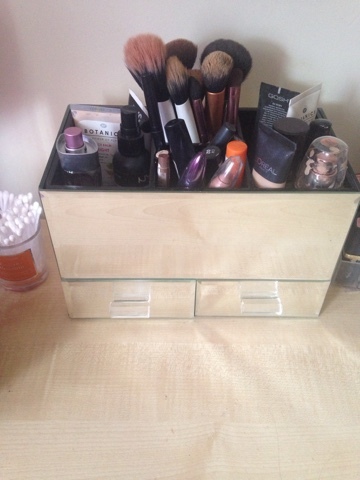 I'm so in love with it, it has four compartments on the top which are great for your brushes and tall bottles etc. 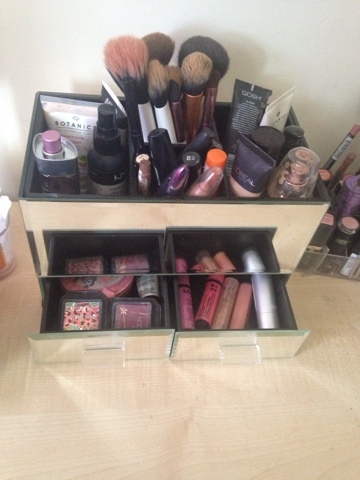 Then it has two small drawers that are perfect for eyeshadows, blushes, lipsticks etc.